Aside from breakfast, making and drinking coffee is the best way to start your day. The process of making it helps you wake up slowly and gives you a few moments to yourself, while drinking it jump starts your system and gets you ready to face the day. 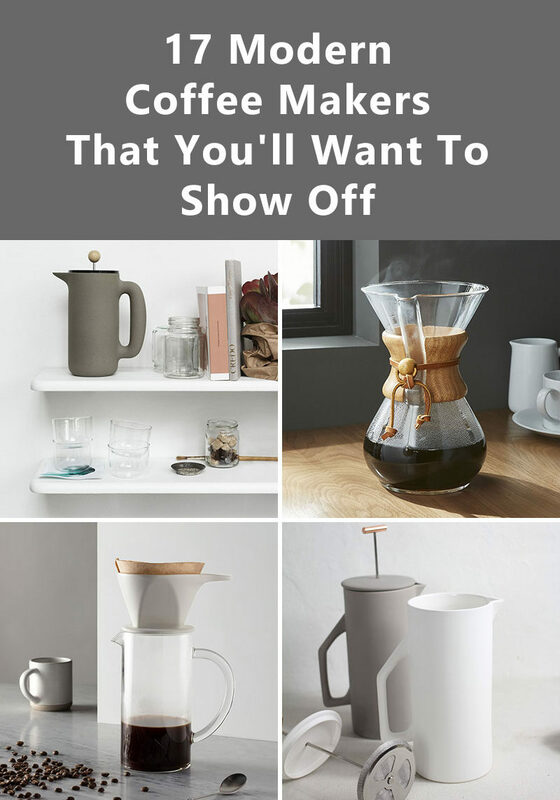 Today we’re sharing 17 coffee makers that will take your morning coffee to the next level and add major style points to your kitchen counter. There is something so satisfying about pressing down on the plunger of a french press and knowing you’re just a few short seconds away from the coffee actually being in your system. 1. 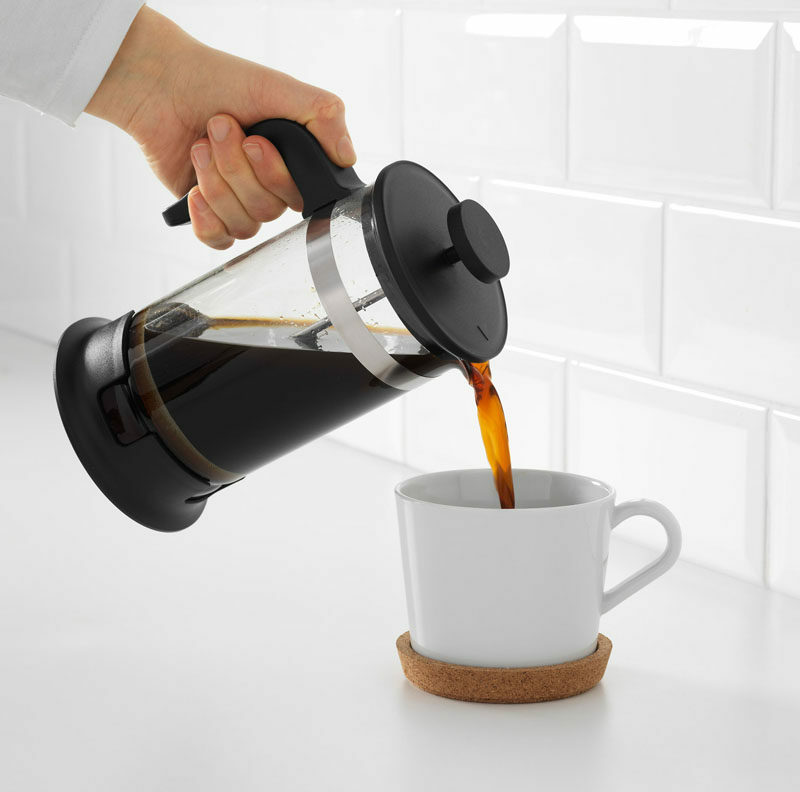 The smooth matte finish of this coffee press and the round knob on top of the plunger gives this press a minimalist look, and makes it easy to get a good grip as you send the plunger down to the depths. 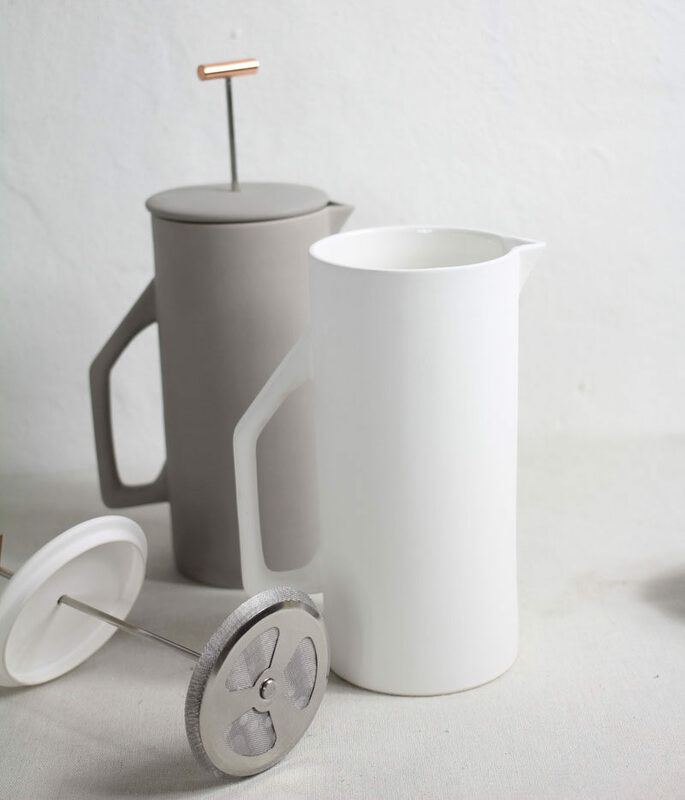 Mette Duedahl designed the Push Coffee Press for Muuto. 2. 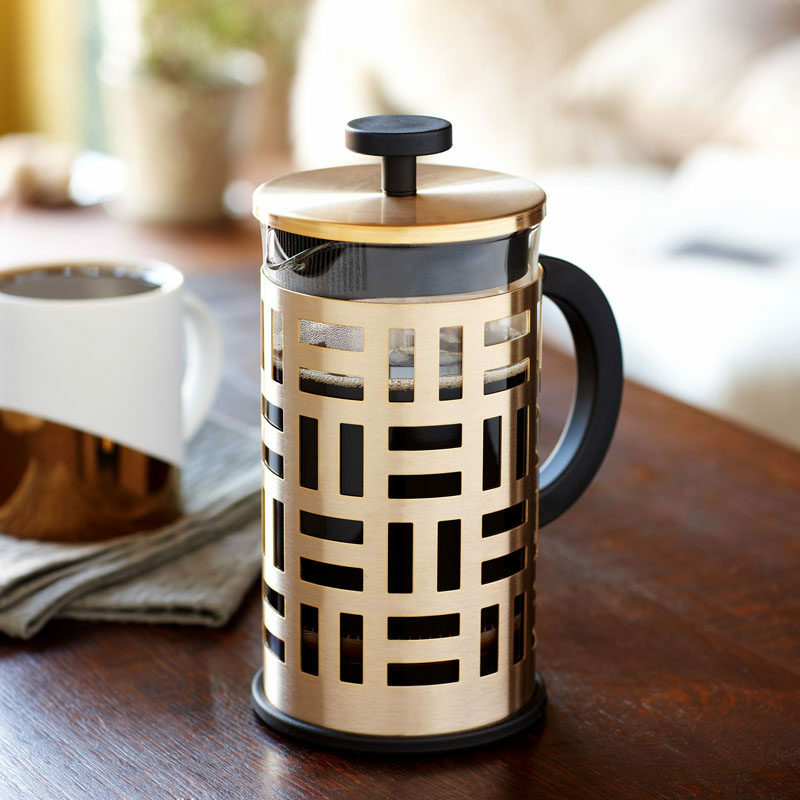 This metallic and geometric coffee press adds a sophisticated look to your coffee and turns making coffee into an elegant part of the day. Eileen Coffee Maker from Bodum. Available on Amazon. 3. With double insulation, this simple matte black French Press with a wooden lid, will keep your coffee warm well into your second cup. 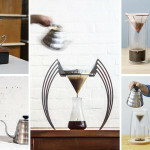 The Theo French Press by Unit 10 Design. Maufactured by Stelton. 4. This 8 cup french press is perfect for Sunday morning brunches with friends and family. 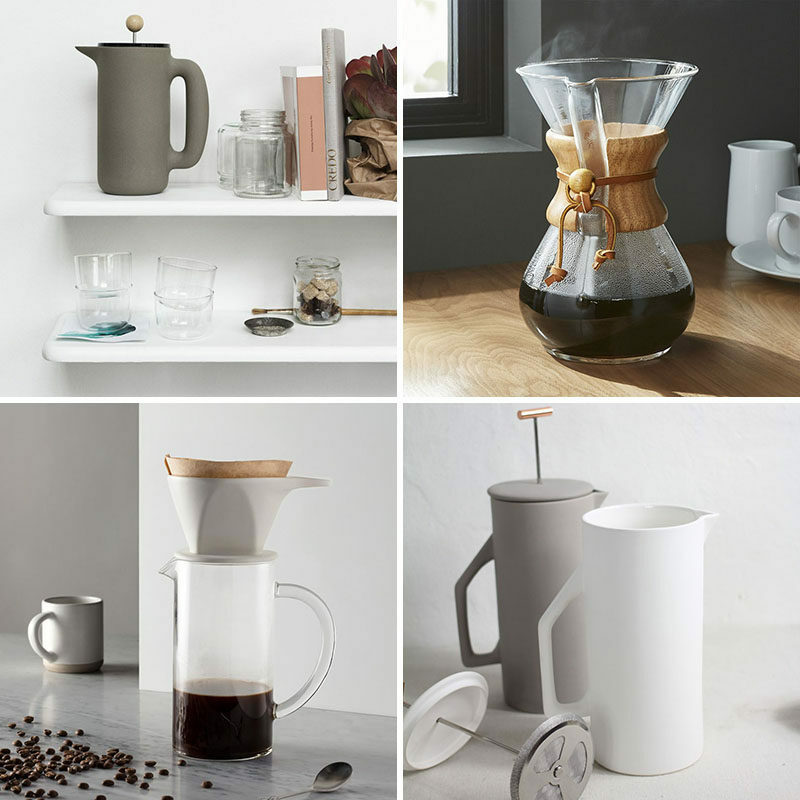 8 Cup Ceramic White French Press designed by Yield. Available from Wild Poppy Goods. 5. The clear bodies of these glass French Press’ allows you the satisfaction of watching the coffee grounds get forced to the bottom of the pot when you plunge them down. 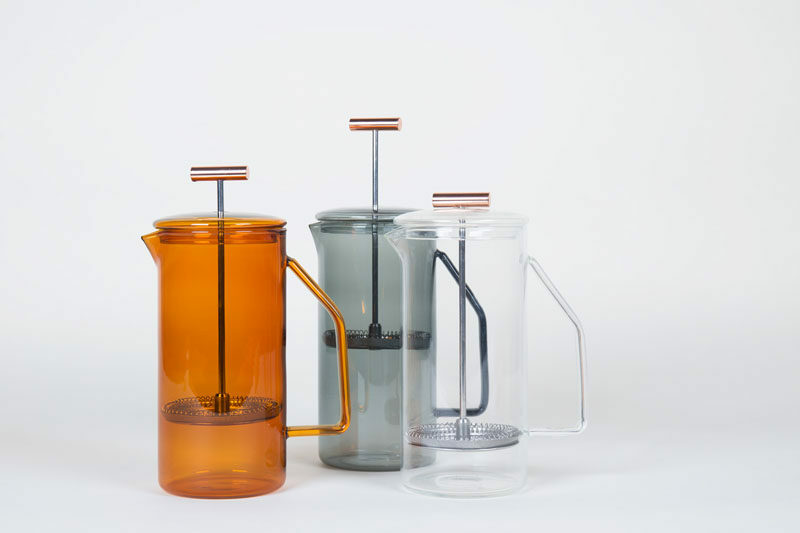 850 mL Glass French Press designed by Yield. 6. Not only will the coffee inside this French press help wake you up, the metallic finish will also brighten your morning and make it easier to start your day. 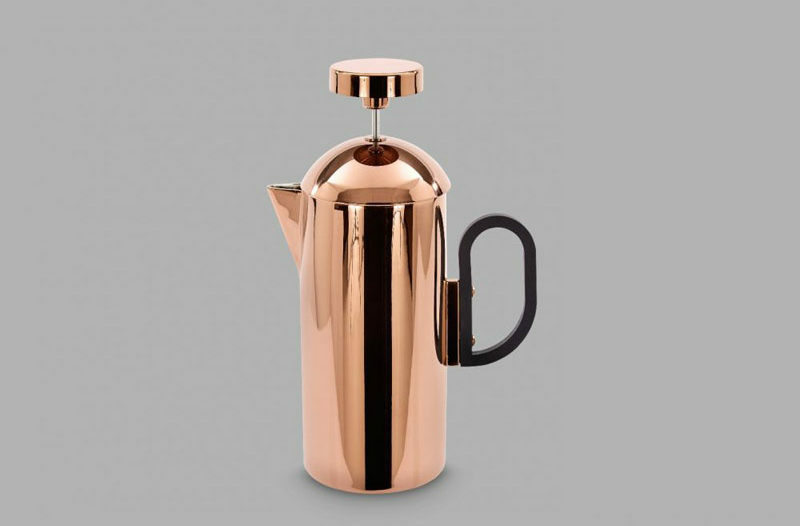 Tom Dixon designed the Brew Cafetiere. 7. The thick rim on the bottom of this simple French press ensures you won’t accidentally knock it over. 8. 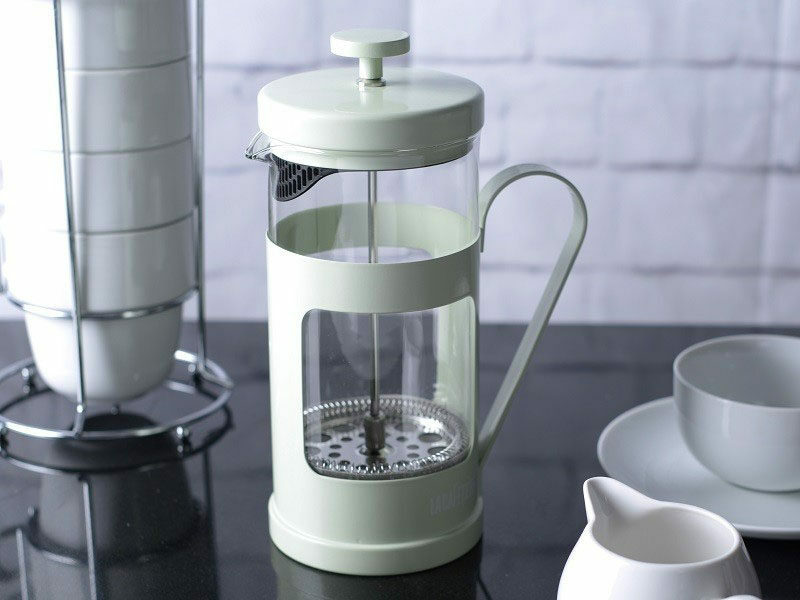 Start your mornings with this pastel colored French press coffee maker and you’re sure to have a stellar day. Monaco Cafetière 8 Cup from La Cafetiere. 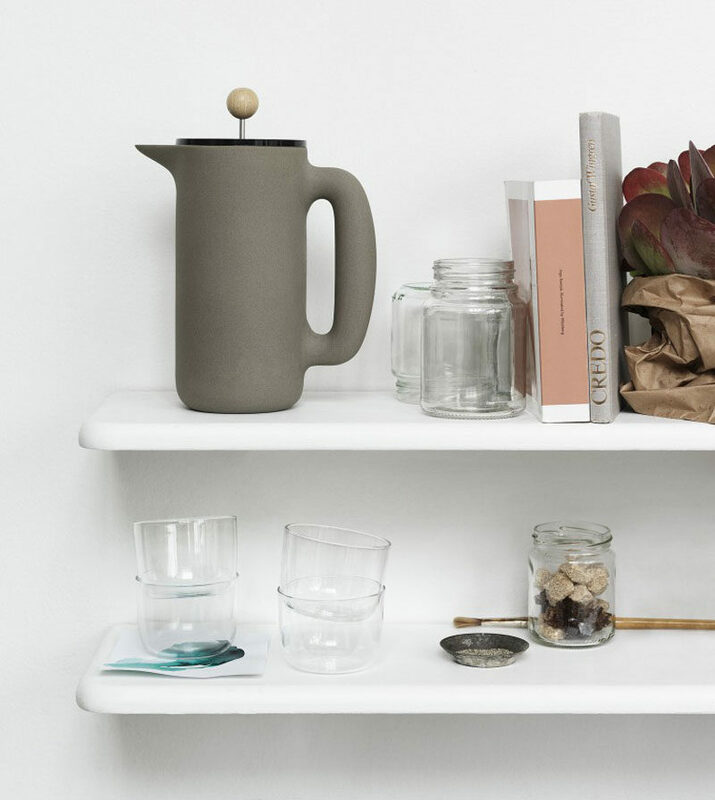 Not only do they make an incredible cup of coffee, pour over coffee makers add style and class to your kitchen counters and shelves. Their simple form makes them practical and their classic design makes them nice to look at while they sit on your counter. 9. 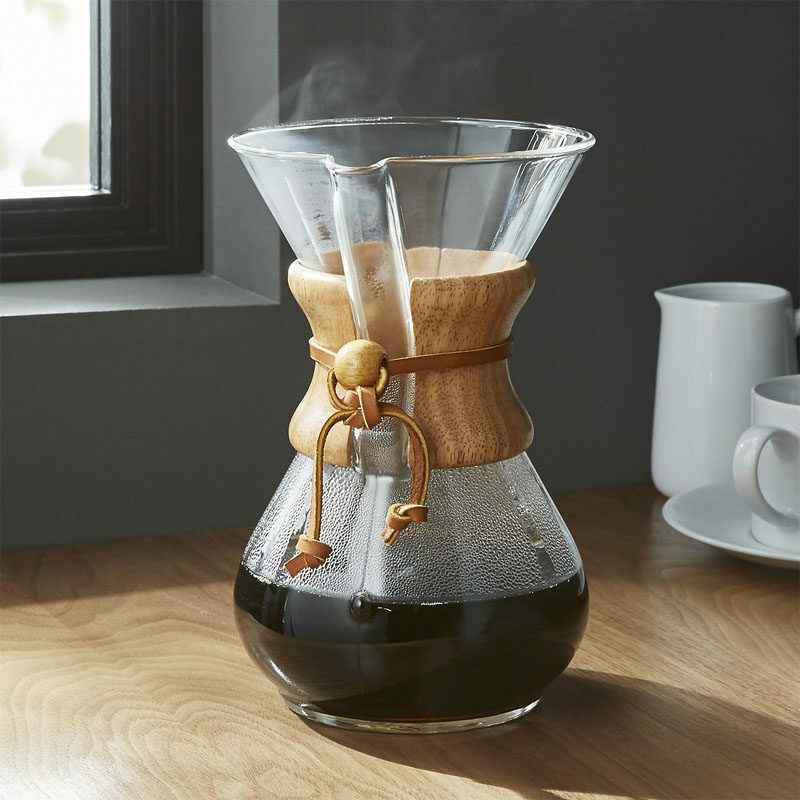 The iconic Chemex coffee maker has become a staple in many kitchens for it’s reputation of making a great cup of coffee and looking good while doing it. 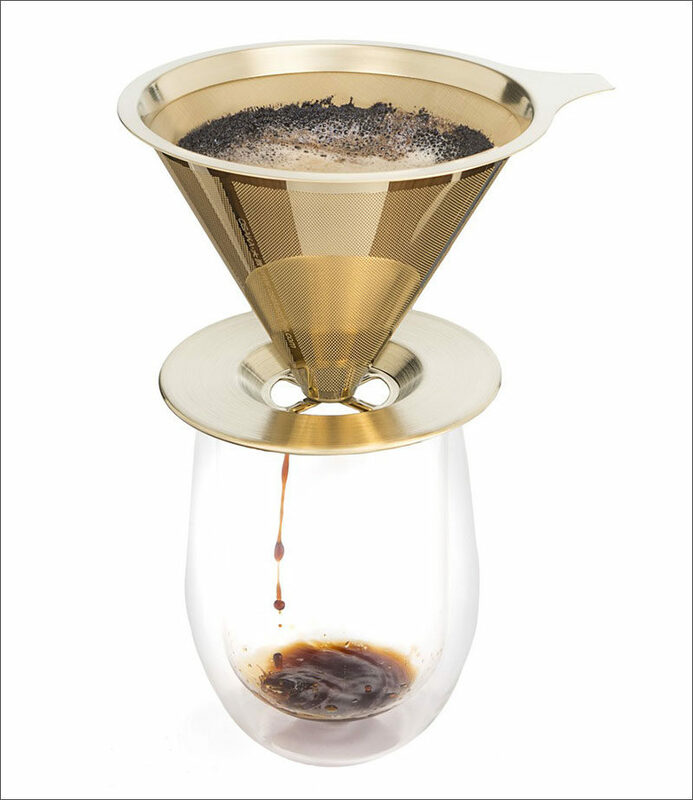 Chemex Coffeemaker with Wood Collar available on Amazon. 10. 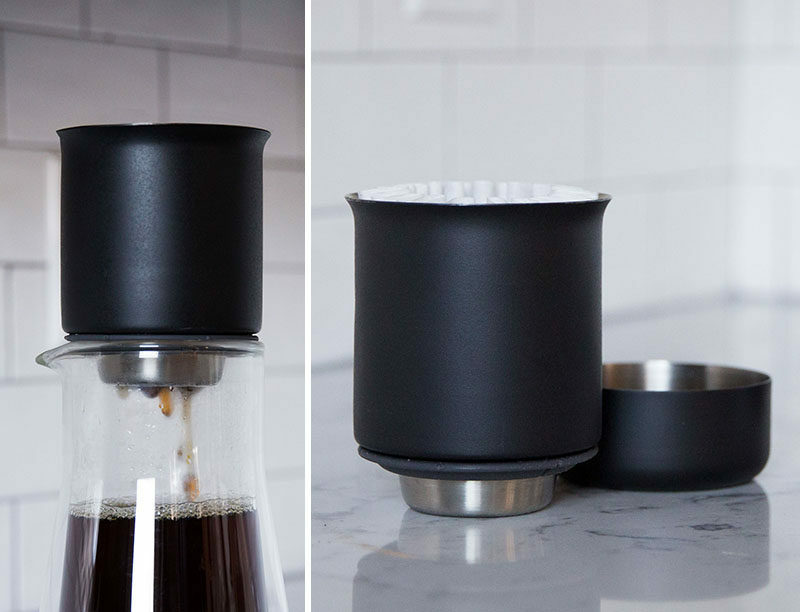 Even though the mesh of this reusable filter isn’t covered by anything, the coffee still ends up in the mug thanks to the conical shape of the dripper. Cone Dripper with Cup Stand from Osaka. Available on Amazon. 11. 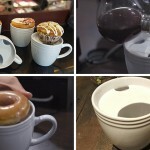 Perfect for making coffee on the go, this little pour over dripper fits on top of mugs to make a tasty cup with little clean up. 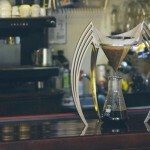 Stagg pour-over dripper from Fellow. 12. 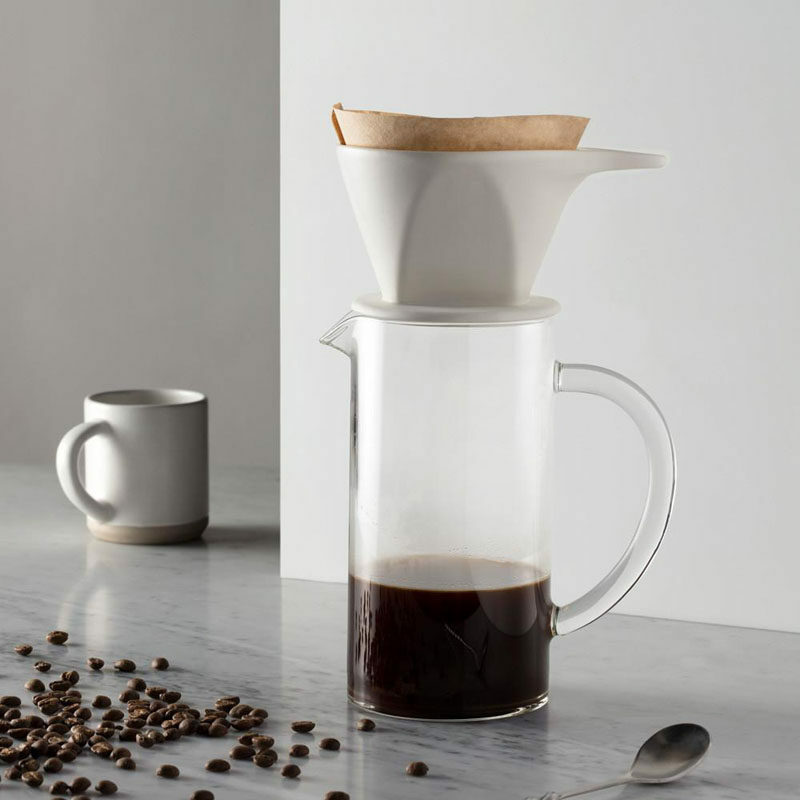 The matte white finish on this ceramic pour over dripper gives it a minimalist, modern look. 13. The GINA smart coffee maker combines coffee and technology to make sure you get the perfect cup of coffee every single time. Making your morning cup of coffee on an actual stove top is one way change up your morning routine and make drinking your coffee a more exciting part of your day. 14. 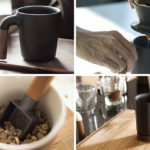 This moka pot coffee maker was inspired by the original design of the moka pot as well as by the unique form of the volcanic stone after which it’s named. 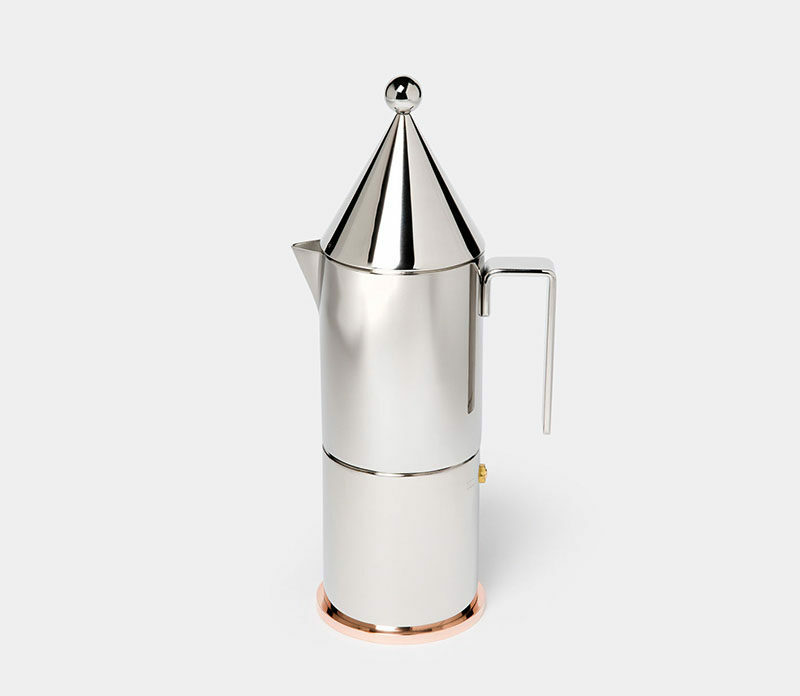 Mario Trimarchi designed the Ossidiana Espresso Maker. Manufactured by Alessi. Available on Amazon. 15. 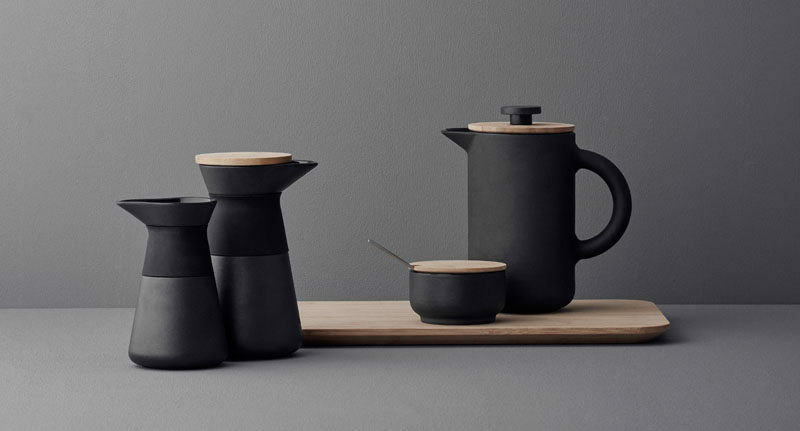 This moka pot coffee maker keeps the traditional design but puts a modern twist on it with the matte black finish. Bialetti ® Moka 6-Cup Espresso Maker. Available at Crate&Barrel. 16. 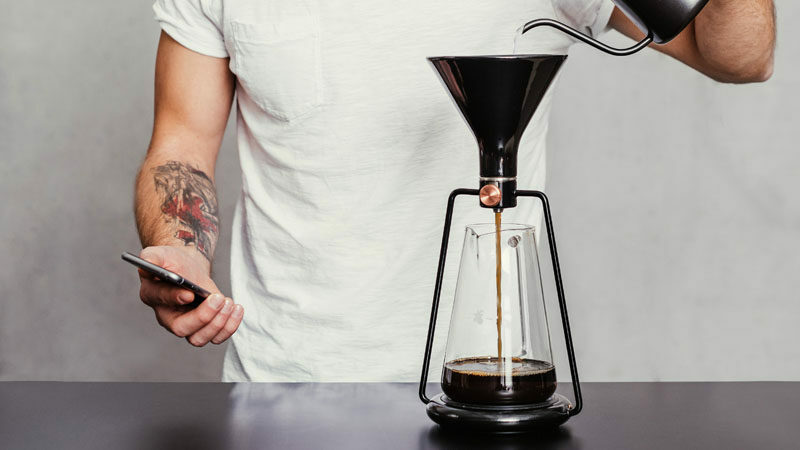 This coffee maker is the result of intense research to figure out exactly what shape and size the coffee maker should be in order to produce the best cup of coffee possible. 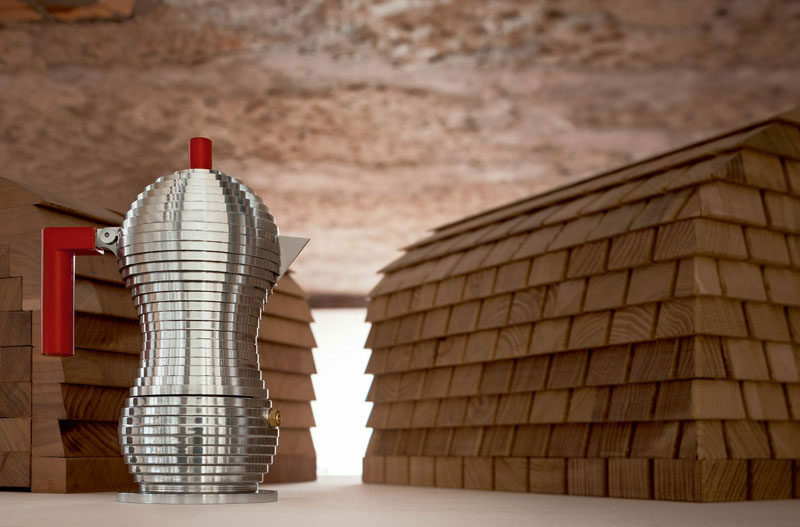 Michele De Lucchi designed the Pulcina espresso coffee maker. Manufactured by Alessi. Available on Amazon. 17. 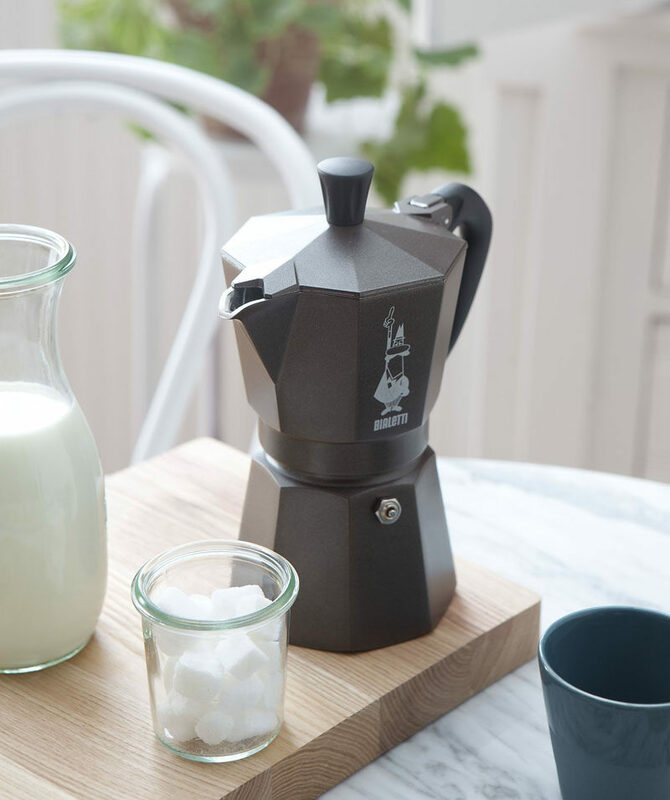 The design of this moka pot coffee maker is simple and quirky at the same time. 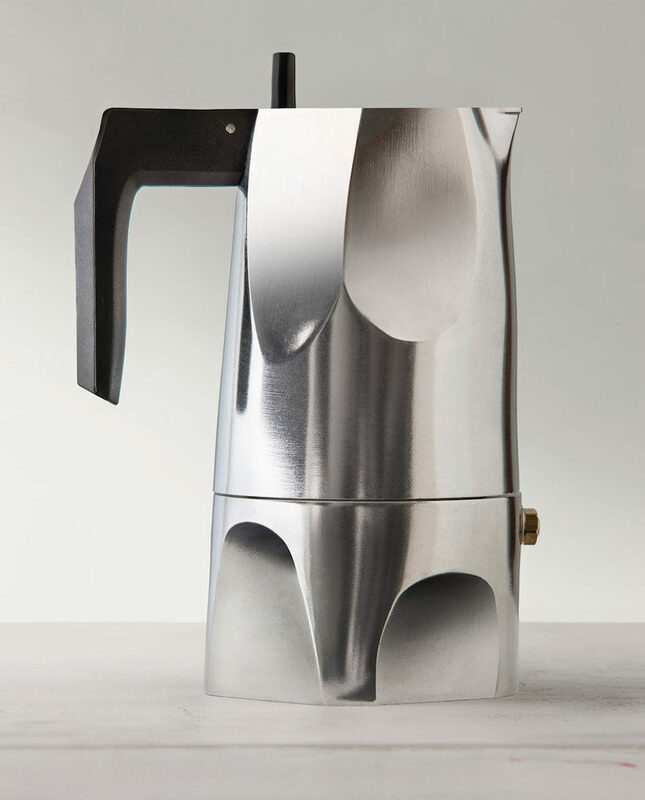 Aldo Rossi designed the La Conica espresso coffee maker. Manufactured by Alessi. Available on Amazon.